DELAWARE, Ohio – The Delaware County Martin Luther King Jr. Celebration Committee and Ohio Wesleyan University invite the community to explore “The Beloved Community” during the 2019 observance of King’s legacy. Charles A. Montgomery Jr., Ph.D., will give remarks at the annual MLK worship service at Delaware City Vineyard. The two-day commemoration will begin at 3 p.m. Jan. 20 with the 34th annual MLK worship service at Delaware City Vineyard, 32 Troy Road, Delaware. The free event will feature remarks from Charles A. Montgomery Jr., Ph.D., east campus pastor for Vineyard Columbus and an affiliated professor at Ohio Christian University. Delaware’s celebration of the life and legacy of the Rev. Dr. King will continue at 7:45 a.m. Jan. 21 with the 26th annual MLK Breakfast Celebration in the Benes Rooms of Ohio Wesleyan’s Hamilton-Williams Campus Center, 40 Rowland Ave., Delaware. 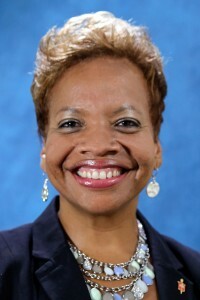 Bishop Tracy S. Malone, resident bishop of the East Ohio Conference of the United Methodist Church, will serve as featured speaker at the breakfast. As resident bishop, Malone serves on the Boards of Trustees at United Methodist-affiliated colleges, seminaries and organizations, including Ohio Wesleyan. Elected to Episcopacy in July 2016, she also currently is president of the General Commission on the Status and Role of Women and is a member of the Board of Trustees at Garrett-Evangelical Theological Seminary in Illinois. She earned her Doctor of Ministry degree from United Theological Seminary in Dayton, Ohio. Read more at www.umc.org/bishops/bishop-tracy-smith-malone. 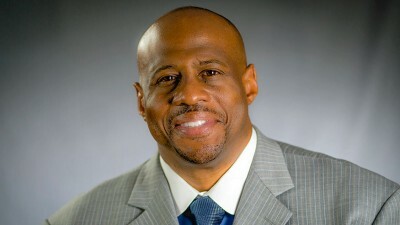 Bishop Tracy S. Malone will serve as featured speaker at the annual MLK Breakfast Celebration. The 2019 MLK Breakfast buffet will open at 7:45 a.m., followed by the program at 8:30 a.m. Individual tickets are $25, with eight-person table sponsorships available for $175. Proceeds support MLK Celebration Committee initiatives, including the MLK Scholarship, awarded annually to one or more outstanding high school graduates of Delaware County schools. Since 1990, the committee has awarded over $30,000 in scholarships. This year’s recipients are Dominic Byers, Ericka Johnson, Emily Metheney, and Jackson Schiefelbein. Breakfast tickets may be purchased online at www.eventbrite.com or by mail via the Ohio Wesleyan Chaplain’s Office, Attention: Sharon Hayes, 40 Rowland Ave., HWCC 308, Delaware, Ohio 43015. Reservations and payment are requested before Jan. 8. Checks should be payable to the MLK Celebration Committee. A limited number of tickets also may be available at the door. For more information, contact Hayes at sehayes@owu.edu or (740) 368-3083.